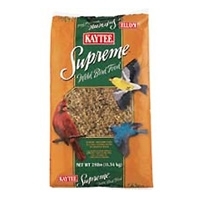 A blend of ingredients that has proven successful at attracting a wide variety of wild birds, this economical blend features millet and other grain products, as well as highly desired oil sunflower seed. F.M. 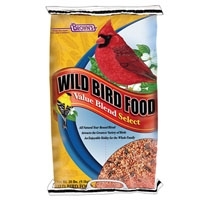 Brown's Value Blend Wild Bird Food 20 lb. Nature's Banquet Value Blend is a fun-filled meal and treat, all in one! Our vitamin-fortified premium diet is jam-packed with real pineapple or papaya fruit bites in zesty fruit flavors. In addition, we've added our sweet and crunchy veggie bites to make it extra delicious. With fruit bites banquet, feeding time can be fun, exciting and nutritious too!